Whenever I'm in a rough mood, this is the song that immediately lifts my spirits. Weird, I know. My sister and I used to watch this at every single weekend slumber party (or just the two of us sleeping on the floor in the living room instead of in our own rooms...pretty wild). Clearly, I'm Lucas and she's is AJ. CLEARLY. Bonus scene for your viewing pleasure. 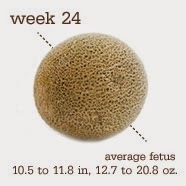 Baby C is growing steadily, weight of a cantaloupe and length of an ear of corn this week! 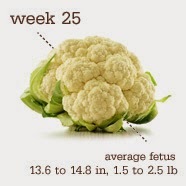 Baby's taste buds are developing, so I have to eat lots of fruits of veggies! Been trying to walk home from work with DVC (three miles!) several times per week. Our route takes us right by the sail boat pond, Alice atop her mushroom and the creepy treehouse! When my mom and sister were here we spent our 4th of July about as patriotically as may be possible - by visiting the Statue of Liberty and Ellis Island! I'd always wanted to go, but had been saving the trip to do with my sister, since it was a pilgrimage we'd discussed making together a million years ago. My Grandma Stephenson came through Ellis Island when she immigrated to the U.S. from Germany in the 1920's at just 5 years old, so it felt like a necessary homage to make the trek out there together and search for her info. Hoping to avoid both crowds and midday heat, we booked the earliest boat of the day - bright and early 8:00am check-in time for an 8:30am launch. 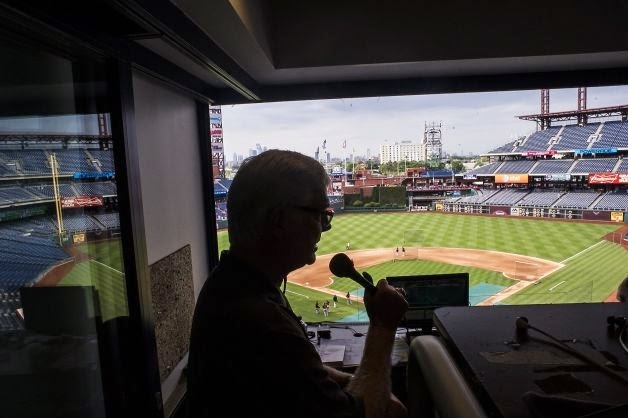 Ended up being a good call not because of the heat but because of rain - major thunderstorms were expected that day. But despite gloomy clouds and a menacing wind all morning, the skies didn't open up until the early afternoon, so we happened to time it perfectly! As we approached Liberty Island, it was really interesting to hear the stories about immigrants arriving in a new country in roughly the same manner and consider the impressions they must have had upon first arriving here. My initial thought - I expected her to be larger! As Leigh kept saying, "isn't everything bigger in New York?!" Our tickets included a reservation for the pedestal, so up up up we climbed until we were just under her toes. Sadly, you couldn't see her strappy sandals. (I've heard she wears a size 879 shoe. Yeow.) We did get to walk along the narrow terrace on the outer edge of the pedestal, which provided great elevated views of Manhattan. Back inside, we explored the museum showing how she was originally created, transported overseas in pieces, reconstructed onsite and later how her inner-reinforcement was completely replaced, piece by individual piece. There were replicas of different body parts and some of the original molds, so you could see just how you measured up. There were also an overwhelming number of letters written to the lady herself, from all over the country, dating many many decades back. It seems she means many things to many people. Sad attempt at a jumping pic. Baby C is heavy, man. Leigh had to showed us what's up. We explored the historic Baggage Room on the first floor and did a quick spin through the Peopling of America exhibit, then popped upstairs to check out the Registry Room, also known as the Great Hall, where immigrants would await processing. The space was eerily empty as we walked through it. Finally we decided to get down to business about what we were really there for and requested directions to the (insanely difficult to find) American Family Immigration History Center, where we could look up details about Oma and her family. Again, we were lucky to hit it at a good time because the space was totally open and we walked right up to the very first computer station. I was shocked at how simple it was to pull up her records! We searched by name, gender and date of birth (it allows you to search by + or - 7 years if you're not exactly sure), and BOOM up came her passenger record and ship manifest, with fun details like age, height, relationship to other travelers, address from whence the passenger came, nearest kin in former country, all sorts of interesting stuff. It was amazing to see her name RIGHT THERE alongside her mom (Martha) and baby sister (Else). The other thing that was important for us to see was the engraving of Oma's family name on the American Immigrant Wall of Honor on the grounds just outside the museum. Again, surprisingly easy to find. After a lady in the resource center inside looked up the name and gave us a certain portion of the wall to look at, we found the Grundig Family right away. While outside we kept hearing cannon booms, and sure enough they were shooting off the cannons from Battery Park in honor of Independence Day. Very cool to see from across the water. It was an emotional day and made me feel a lot more connected to my family's history than ever before. Imagining ever-so-proper Grandma Edie scampering around Ellis Island as an impish five year old was such a fun thing to think about. Glad I got to visit with my mom and sister, we had a great experience together.